One day, on a sunny leisure day, a woman visited my house and asked me if was interested in managing a dungeon along with support offered from a goddess. But of course, I refused. Eh? I shouldn’t ignore a person in trouble, moreover if it’s beautiful woman? No way, that’s too bothersome, why do I have to do that? I’m perfectly satisfied with my comfortable life now, throwing it away is just overly stupid… …sigh, fine, so it’s go to another world, become a dungeon master, manage a dungeon and deal with the Mana circulation problem? Understood, but how to do it? I stumbled upon the manga but there are only a few scanlated chapters, I found it interesting and forced myself to read the fan-translated WN chapters. I'm saying forced because the fan translation is really atrocious, at least for the initial chapters/volumes I read. Not to mention that the translation has been really slow for quite a while now. I would really love to know how the story continues, but the only hope is to get if officially licensed I guess. 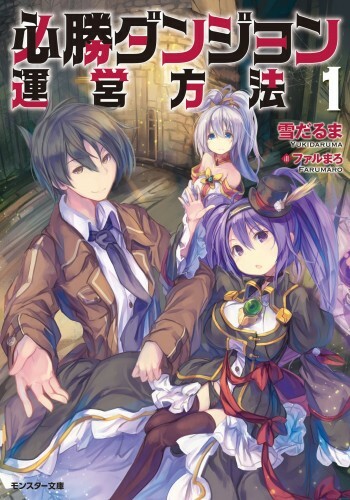 This LN is kinda similar to realist hero from what I have seen, since it has quite a lot of world building and such. The MC gets summoned to another world and entrusted a dungeon from a goddess, from there he gets involved in politics and creates a city inside the dungeon rather than creating a proper dungeon. The monsters are used as security guards for the city, etc. One of the points of the city is also to gather slaves and free them, letting them live there. I haven't read it up to the current WN fan-translated chapter though, so I'm not exactly sure which direction it takes later on. I really want to read some of those dungeon master series. Up-vote. seems interesting and I love series that are like Realist Hero. Just a note that he gets 9 heroines at the end of volume 1, or the start of volume 2 (I don't recall right now). They are those former slaves I mentioned above, basically he starts building the dungeon city with them. After that the number doesn't go up, except for another 1-2 heroines. At least, that's until the part I read. No idea after that. @terabyte lol damn that escalated quickly I guess. Still want to read it tho. Another good title that I would love to read.